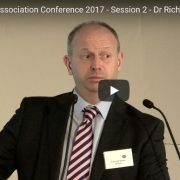 Professor Richard Warren discusses the workings of a combined Dermatology and Rheumatology Clinic and a busy research job and provides feedback on BADBIR and PSORT to conference participants. 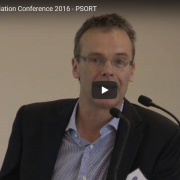 Professor Nick Reynolds introduces and explains the Psoriasis Stratification to Optimise Relevant Therapy (PSORT) research programme to conference participants. The members of PSORT actively supported the Psoriasis Shout Out® week in June. A number of exciting events were held in Manchester, Dublin, Newcastle and London. The Psoriasis Shout Out® initiative aims to raise awareness of the condition and bring patients together with professionals working within the field of psoriasis management and research. The PSORT initiation meeting took place in Manchester on 24 October 2014. Although the official start date for PSORT was 1 September 2014 a tremendous amount of work was involved prior to this, in both the grant application phase and the post-award phase. The MRC has provided psoriasis researchers with the funding and opportunity to develop a dynamic research platform to develop predictors of treatment response to biologic therapies. The strength of the PSORT consortium lies in the close collaboration and collegiality that academics share with partners from industry and the Psoriasis Association. This meeting highlighted the aims of PSORT, its progress to date and introduced members of this multidisciplinary team. 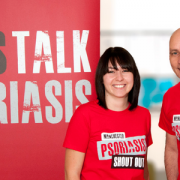 The first Manchester Psoriasis Shout Out (a patient and public engagement event) was held in April 2014. The Shout Out team’s aim was to get people talking about psoriasis (what it is and what it isn’t) and to bring psoriasis patients together with professionals working in the field of psoriasis management and research. Through the enthusiasm of staff and patients, what began as a small event soon snowballed into a week-long festival of activities – including high-profile project launches, dedicated patients events and even a fashion show! The week started off with a ‘Happy’ flashdance in St Ann’s Square and Piccadilly Gardens in Manchester and ended with a fashion show at the INTU Trafford Centre. Throughout the week we not only helped to raise awareness of psoriasis we also gained patient ambassadors who will help to inform future activities and events. You can read more about the Manchester Psoriasis Shout Out by downloading The Review. 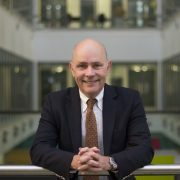 A world-leading taskforce led by The University of Manchester has begun work to create a new test to help medics work out which treatment plan is most likely to improve the disabling skin condition psoriasis, based on a patient’s individual biological make-up. 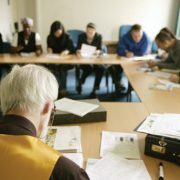 The team, known as Psoriasis Stratification to Optimise Relevant Therapy (PSORT) is a unique partnership between five UK universities: Manchester, King’s College London, Newcastle, Queen Mary and Liverpool, 10 pharmaceutical and diagnostics companies and the Psoriasis Association and NHS partners representing patients.